Testosterone Cypionate – injectable testosterone ester, which duration of action is between Propionate and Enanthate. As with all drugs from testosterone group, it is destined for building muscle mass and strength. 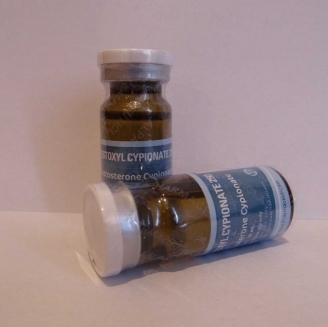 Cypionate exhibits its activity in protein synthesis, IGF-1 synthesizes muscle fibers, increases the level of growth hormone in the body, also increases glycogen storage cells. Many athletes ask themselves, what to use, Testosterone Cypionate or Enanthate? In our opinion the answer to this question lies in the experiment. Just trying to imagine these two steroid, you can answer what you’d better go. You can also get advice from professionals on the usage and how to create a cycle of testosterone cypionate. Testosterone Cypionate dosages are in the range 400–1000 mg per week. Some athletes resort to 1600–2000 mg doses in a week, setting a global competitive purpose. Beginners can use Testosterone cypionate solo and experienced athletes recommends to combine it with anabolic steroids for a stronger effect. The injection is carried out once every three days by dividing the weekly dose into two doses. Reviews of Testosterone Cypionate, say that unlike Enanthate, it accumulates less water due to a shorter period. A large selection of Testosterone Cypionate is available online, the price of which is very accessible, and of the highest quality. Buy Testosterone cypionate reliably, quickly and profitably. 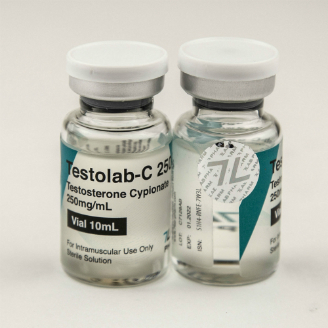 Testolab-C 250 comes in 10 mL vial, with 250 mg/mL of Testosterone Cypionate as active substance, originally designed and manufactured by 7Lab Pharma, Switzerland. Testoxyl Cypionate comes in 10 mL vial, with 250 mg/mL of Testosterone Cypionate as active substance, originally designed and manufactured by Kalpa Pharmaceuticals, India.